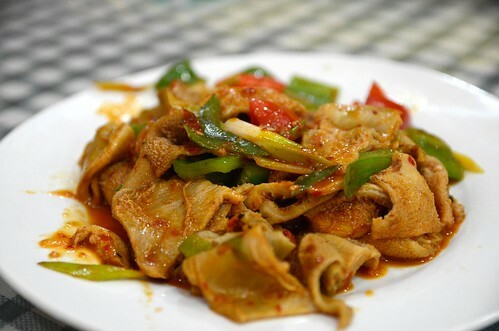 Stir-fried lamb tripe 炒羊肚 AUD15 - Silk Road Uyghur Restaurant. Yummy! Good texture, like beef tripe, but finer grained.